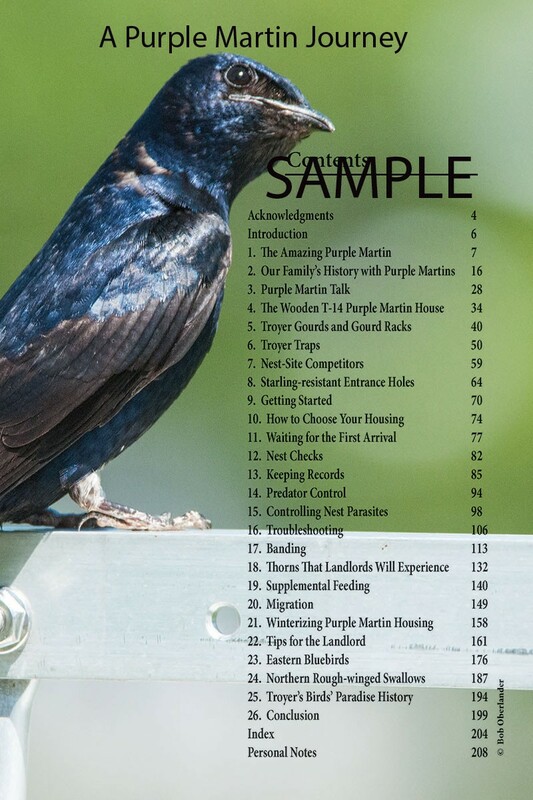 Awesome gift book authored by Andrew M. Troyer lifelong expert, attracting, maintaining purple martin colonies. 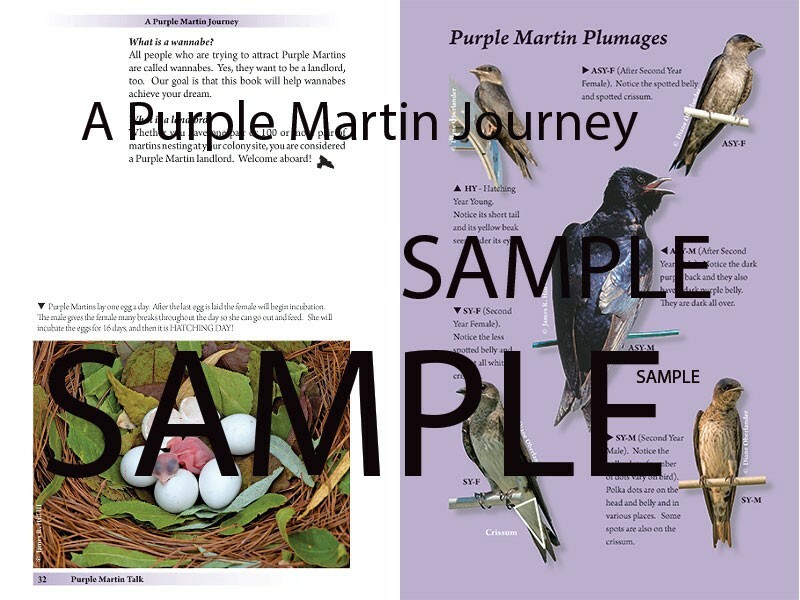 Beautiful 208-page hardcover book with close-up color pictures of the purple martin journey from spring arrival hatching and departure will make an awesome gift for the purple martin enthusiast from the most experienced or starting out purple martin landlord. Troyer Purple Martin houses, products and supplies are very well known and respected, especially amongst the Amish communities Worldwide. Andrew M. Troyer the founder has dedicated his life to the study of Purple Martins. 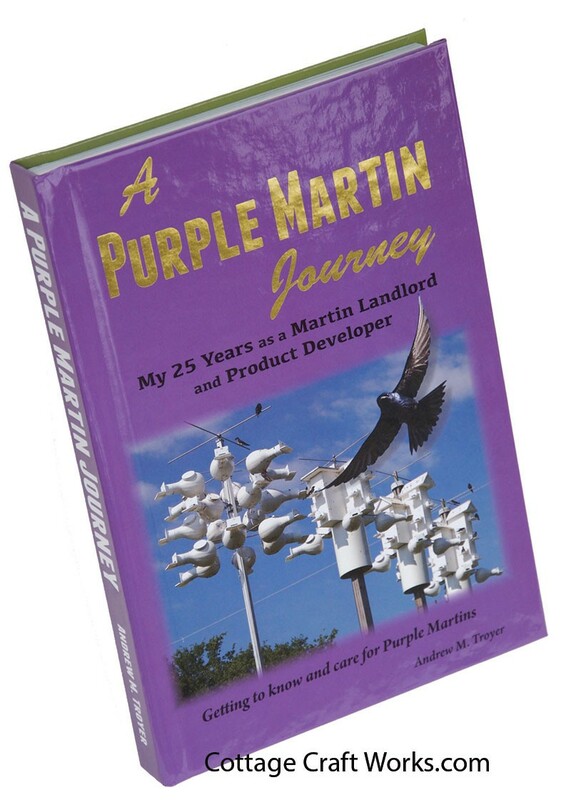 In his most recent release A Purple Martin Journey, Troyer shares all his expertise in becoming a purple martin landlord. Ships directly from an Amish shop.